COMMENTS: Great for body butters and creams. COMMENTS: No leak no smells perfection!! COMMENTS: Love these for small jars in gifts sets, and my face masks! 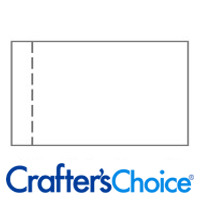 COMMENTS: These are great for items you make or for storing small items. COMMENTS: These are a good size for my body butter. 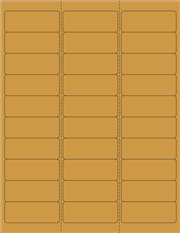 Will need more soon, used with white lids. 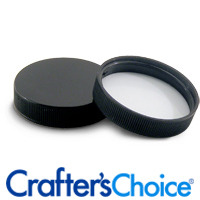 "Perfect size for freebies and perks"
COMMENTS: We use these 2 oz jars for freebies and rewards programs. Everyone loves the smaller purse size. COMMENTS: I like them alot. They are really cute little jars. The only problem is they can melt if you put something in too hot. COMMENTS: I like the size of these. they fit just over an oz of body butter. COMMENTS: Consistent favorite .....and you can’t beat the price! COMMENTS: I was looking for a jar similar to one I had at home. I went with this one and OMG way better than what I had hoped for!!!!!! Bigger, stronger, sleek looking, perfect size for lotions!!! Has a very professional look for a fantastic price. COMMENTS: These cute jars are just perfect any product testing. I use these for hair butter and it holds really well. Gives a professional look too. "These Jars are perfect "
COMMENTS: Perfect size for many items, I primarily use them for my clay face masks. COMMENTS: great size and shape to work with. This is my jar I always have on standby! COMMENTS: This is a great size jar for someone that's on the fence to purchase a larger size. It works well when creating gift baskets and sample or travel packs. Very versatile. COMMENTS: Love these for my lotions and creams. COMMENTS: I purchased these for the first time for a special order of 150 whipped body butter wedding favors. Loved the size and went over with the guests so wellI am now selling sugar scrubs in this jar. First day sold about 30. I just reordered. I have been using a larger version of this jar for a couple years. I Give them a A+ for appearance, quality and performance. They never leak even when shipped. COMMENTS: These are nice little tuck in jars. 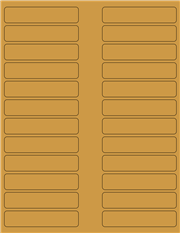 Easy to use and store. Thank you for carrying a small size! COMMENTS: Great jars for such a good price! COMMENTS: This is the only place I will buy my jars! High quality! COMMENTS: These are good for my body creams. I do wish that the tops weren't sold desperate Other wise great product. COMMENTS: These work great for powders and small size body creams. COMMENTS: These are just the right size for testers that I can set out at shows for people to smell my products. COMMENTS: These 2oz. Jars are just the perfect size for gift giving. COMMENTS: We had always used plastic bottles for our lotions. A customer suggested we use the jars because sometimes it is hard to squeeze the bottles if you have problems such as arthritis. We used them and were very satisfied with the result. COMMENTS: love these little jars. They can be used for a wide variety of products. the contents can be seen through the clear jar. 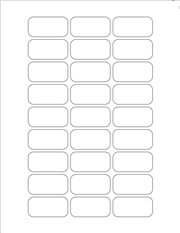 COMMENTS: I use this size for my customers to purchase a smaller size, before they purchase the bigger sizes I offer! It works out pretty well! COMMENTS: Prefect for sample or travel size product such as body butter. COMMENTS: I love this for special lotions and whipped oils. COMMENTS: Great size for deluxe samples! "Great for face mask recipes "
COMMENTS: I use these sweet little jars to package my powdered face masks in, my customers love the size and stuffiness! "Perfect size for customers to try a product"
COMMENTS: I love these little jars. They are the perfect size for my customers to try the product before buying the larger size jars. I also like to make up little gift bags with several of these sized jars for a variety. I currently use these for my scrubs and body creams. COMMENTS: Wholesale Supplies Plus is my go to place for jars! 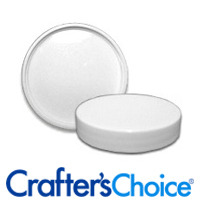 COMMENTS: I purchased this product to use as sample jars for sugar scrub and body butter. Jars are made of very sturdy plastic and are quality made. I was surprised by the amount of scrub and body butter I was able to place in the jar! The size of the jar is excellent for throwing in a small purse or placing in a small work cubicle or desk. I will be buying more of these jars in the future. "2 oz clear plastic jar"
COMMENTS: Nice size for facial scrubs and bronzes, nice size to store micas in and clear to see each color. COMMENTS: This is not my first order for these jars and will not be my last. They are the prefect size for my small body butters, soapy salt scrub and so much more. I have never had a problem with any of the jars sent. Great quality and the lined jars that go with them is just an added plus. "Great for whipped sugar scrub and lip scrubs." COMMENTS: I am always complimented on my scrub and how lovely they look. These containers are great. 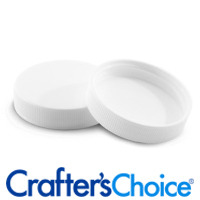 COMMENTS: i love these jars this was my first time ordering them, I also go the lids & shrink wrap. I use them for sugar scrubs samples. Great price & size for samples of any body products. I would definitely recommend these. "great size for face masks"
COMMENTS: I love that this is a leak proof container that ships safely across the US being pretty durable for the price. COMMENTS: Perfect for salves and creams. COMMENTS: Perfect size for my needs! COMMENTS: They are cute and I am pleased with them. It is nice to try different products that work well. COMMENTS: Product arrived very quickly and were perfect for what I will be using them for. COMMENTS: Ordered 48 for a custom order of whipped body butters that I make from scratch. It was the perfect size. A little difficult to fill as I normally use 8oz jars for my shop but it got easier once I got the hang of it. "Love these. Perfect size. " COMMENTS: These are great for sample size sugar scrubs and body butter for gift sets. I also use them for lip scrubs. COMMENTS: These jars are perfect for sample sizes of my scrubs. They're so adorable. Will definitely keep purchasing. As always, good quality! thanks WSP! COMMENTS: These are great basic jars. Would buy again. COMMENTS: I use these jars for my powder face masks. They hold 12 teaspoons and I have not had any problems. They are sturdy and do not leak. They come exactly as pictured and did not come damaged in any way. I will be buying them again. COMMENTS: Good size, decent weight - great for masks, scrubs, lotions, and oils. No problems with leaks. 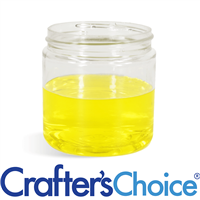 "2 oz clear basic jars"
COMMENTS: I love these jars for scrubs and butters. COMMENTS: Looking for a jar to give body butter samples or just to include in a gift set then this is it. Great Jar! "Perfect size for face masks. " COMMENTS: I love these jars for face masks and sample size body scrubs. Perfect small size and I like clear jars so you can see what's inside. They are great quality and don't feel cheapy at all. COMMENTS: I needed samples for a recent customer appreciation week and these were the perfect size! COMMENTS: Love these jars - all sizes but the 2 oz is perfect for regular sales, trial size sales and generous samples. Have had no complaints - no leaking, stays tightly closed but is easy to open w/ the ribbed tops. Clear jars make products easier to view - great for the pretty products. Customers like this size - they can afford to try a new product w/out investing in larger size. • Size and ease of use. COMMENTS: These jars arrived in perfect condition, they also are sturdy enough to ship without worrying about them getting damaged in the process. COMMENTS: I love this jar for lotions and body butters! I love how clear the container is - it just looks so fresh and clean! COMMENTS: I'm very happy with WSP's clear jars. I use several sizes and love them for professional looking clear plastic packaging. This size is great for trial/purse size products. Please don't ever discontinue these! COMMENTS: I absolutely love the PET jars from WSP! I use them for lotions, sugar scrubs, bath salts, you name it. I highly reccomend them to anyone who is looking for a sleek, professional finish with crystal clarity! 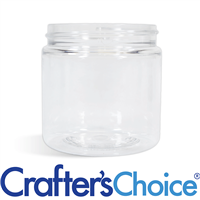 "2 oz Clear Basic Plastic Jar - 48/400"
COMMENTS: I love these for my mani scrubs, cleansing grains and lotion. Great size for people who want to try multiple products without committing to a larger size. COMMENTS: I used these for lip scrubs and they are just the right size. The only issue I had was finding labels for the lids on them. Great jar! COMMENTS: This is the perfect size for the smaller, more affordable sized salts. Will be ordering a large quantity. "Love the shape of this jar." COMMENTS: I use this jar for my emulsified sugar scrubs and the 2oz is perfect for switching out different scents easily. I have not had any problem with the jars leaking. COMMENTS: Beautifully clear jars, easy to sterilize. Great value. Thank you!! COMMENTS: Very happy with my purchase. "2 oz Clear Basic Plastic Jar -"
COMMENTS: This is the perfect size for my shea butter blends, and facial mask powders. Its easy to fill and people can see the product inclosed before purchase. COMMENTS: I bought these by accident. (don't order in haste;) I didn't want to try to return, so I used them. The lids are just a smidge smaller than the 2 oz double wall containers, so my labels were just a smidge too big. I had to trim the extra off. I decided to use the remaining ones for samples for family and testers. If you are prepared for the size, they worked great. Quality was good. COMMENTS: These are a hit with my customers, I use them as sample jars for my sugar scrubs and whipped butters. Also I love that you can see the product through the jar and I will be purchasing more today. One other thing, I am going toss these in my gift sets. Thank you. COMMENTS: Use them for body butters. They stay sealed perfectly with no leakage. COMMENTS: I have bought so many of these throughout the year. Great quality and competitive price. COMMENTS: Love them. Great for sample size of my salt scrubs. COMMENTS: Excellent size for my sugar and salt scrub giveaways or samples. I put on a press and seal liner and I can ship anywhere and not worry about leakage. COMMENTS: Great little containers for samples! Sugar lip scrubs, body sugar/salt scrubs, lotion samples! "Great for body butter and sugar scrub sampler sets"
COMMENTS: The best jars for sugar scrubs and body butters. I have been using them for years. Ships well too. COMMENTS: I use these for packing my dry ingredients like, dry shampoo powders. hair masks, face masks. looks very professional and better than the zip pouches. Extremely easy to fill the powders and easily holds 2 oz of dry ingredients. COMMENTS: These 2 oz. jars are the perfect size for my sample body butters and sugar scrub cubes. They are crystal clear and easy to just pop in your purse. COMMENTS: I love this size jar for samples. It is a very strong jar that can be used over and over. You can easily see the product inside. "Clear basic jars 2 oz"
COMMENTS: Strong and sturdy. No leaking with the lids. Will purchase again. COMMENTS: These are excellent for 2 oz. of lotion and you can see the product very well, so if you want to color it or leave it natural you can tell how much product you have left every easily. COMMENTS: One of the things I used this for was a shea butter-based balm for a friend of mine who has psoriasis. The jar holds a nice amount of the balm, especially making it convenient for tucking into a purse or travel bag. I also used them for small size body parfaits. They are cute and fun and the jar is tall enough to see the layers in the product. COMMENTS: I use these for my facial masks and natural paste deodorants and they are just the right size. They seem to hold up well and work well with my labels. Will use again. COMMENTS: Love these little jars! COMMENTS: These are the perfect little containers for my Shea Hand Cream. I love that my customers can see through them. They are easy to work with. Consistent in quality. Price point is great. Definitely buy lots of these. COMMENTS: I like these for my butters. Wide mouth makes it easy to use. COMMENTS: Works great, I use them for soaps! They keep them airtight. COMMENTS: Great value...holds up well! COMMENTS: These are sturdy but there is a white blemish on the bottom of all of them. Other than that they are great. COMMENTS: These jars may be basic but they are very high quality. They are my favorites for hand salve. I use them with the black ribbed tops and they look very professional. COMMENTS: I absolutely love these little jars. They make any face mask look wonderful and professional. "Perfect jars for sample bundles"
COMMENTS: These jars are perfect for using to make sample bundles of my Bath Whips, Sugar Scrubs, and Lotions. People love to try out products in different scents before committing to a larger size. These are perfect for bundling 5 together for a sample pack. My customers love them. COMMENTS: These were great for my lotions that are thick. they close tight and off a peek at the texture. COMMENTS: I was not too sure what to expect, but this 2 oz container was the perfect size for my sample body butters. It is also strong enough to withstand shipping to my customers. 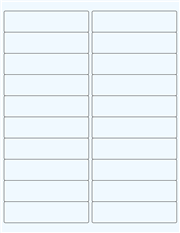 Price was a little steep for me, but with free shipping it ended up being the same as anywhere else. Great product, will be getting more soon. COMMENTS: I use these for my whipped shea butters and as samples of my body butters and scrubs. Very professional looking! COMMENTS: I recommend these jars to anyone. I used them for so many of my products and they are great for mud masks, body creams and also exfoliants. I use the 8o jars for bath salts. I want to take advantage when WSP does a monday sale for jars and rack up. COMMENTS: I keep these stocked for my customers who want to try a smaller version before taking the leap into a full size product. Very high quality in look and feel. COMMENTS: I love these 2 oz. jars they are the perfect size for so many things. I was purchasing expensive plastic containers from the grocery store to mix my colors in and sometimes these containers would even leak. Then I decided to try using these 2 oz to mix my colors, and they work like a dream and they don't leak. Yay! COMMENTS: We love using these jars to give out as samples to some of the salons we deal with. It gives them the opportunity to smell the product and gives them enough product to try it out on themselves. COMMENTS: Perfect jars for smaller sized products. I use these jar for all kinds of items and they have a nice, simple retail look. Love them! COMMENTS: I use these containers for nearly everything! They are a perfect size for my body butters and healing salves and are small enough for a customer to keep the product in their handbag. COMMENTS: Used these to make trial and sample sizes of body butter and sugar scrubs. Very pretty and professional looking. Great for intro on new products. Throw a sample in with an order and have a new product order from your customers. "Perfect Size for Add on Sales!" COMMENTS: We make Purse/Gift and travel Size beach butters for our craft shows in these containers. They sell like hot cakes, and our profit margin is bigger than for our bigger size. "I will be purchasing again"
COMMENTS: I so love these! I will be back asap to re order. Can a jar actually be cute? This one is! COMMENTS: I like this for my body butter,the size is great for on the go. I will continue to order this. "Perfect Favor or Sample Size"
COMMENTS: I love these little jars. I make natural body scrubs, bath salts and lotions. This size is perfect for samples or shower/party favors! COMMENTS: nice little containers these are, i use them for my face cream & also sometimes my body butters! COMMENTS: These are great for sample sizes of my products. The customers are able to see what the item looks likes, and how much is left before opening the container. Very sturdy. COMMENTS: Perfect size for customers who want to try a small amount of a product to make sure they like it.Shatterproof, so I do not have to worry about someone getting cut on it. Shows product very clearly. Will be ordering again. COMMENTS: I use these as "tester" jars for my salt scrubs and they work perfectly! COMMENTS: I have a hard time figuring out the size of bottle to use. This 2 oz. bottle is the perfect size for lotions. Just enough to space for a good quantity of lotion. COMMENTS: Great size for travel and samples. COMMENTS: Good quality and price. Great plastic jars for scrubs and lotions. COMMENTS: This jar is perfect for use as favors or as a small size. I use it for body butter, lotion, bath salts, face masks, face cream, oatmeal bath soak, whipped soap and sugar scrubs. It's a lso a great size for use during spa parties where the girls can make their own spa product and take it home as their favor. Waterproof labels peel off cleanly off the jars if they are not centered at first. COMMENTS: I love these little jars. I don't know why I never used them earlier. They are thick, clear and product looks amazing in them. COMMENTS: Very professional look, durable, no leaks. Be careful not to overheat it does warp if you put it in the microwave but is fine when pouring very hot liquid into it. Sweet! Will buy again. COMMENTS: These jars arrived in perfect condition and the white straight lids fit perfectly. They are good for selling a smaller sized product like body butters or scrubs for the customer to try. "What size label could I use with this jar? Length and height? Also, what size round label for lid?" Staff Answer We have suggested labels on our site for our jars. Scroll down this page and you will find them: http://www.wholesalesuppliesplus.com/products/2-oz-clear-basic-plastic-jar-48-400.aspx Also, you would probably want a 2" round label for the lid. "How much heat can these withstand -- maximum temperature of contents without damaging the jar?" Staff Answer PET jars have a maximum fill temperature of 160°F. "Which size labels should I use for the jar and the lid?" Staff Answer You can find this information on the "Additional Information" for this product: http://www.wholesalesuppliesplus.com/products/2-oz-clear-basic-plastic-jar-48-400.aspx. You would need to check the information for the specific lid you would like to use. 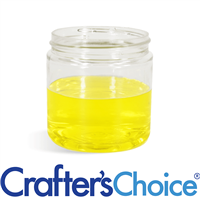 "I purchased these jar for my lip scrub and I'm having a problem with them leaking the oils out. I'm worried when the consumer brings it home they will have a problem with them leaking too. Please help!!" Staff Answer It is hard to keep oily scrubs from leaking out. You can try a Press and Seal Liner along with a Shrink Wrap Band. You may also try taping the jar/lid with a clear tape to help prevent leaking. "is this PET jar suitable for food (spices)?" Staff Answer We are not an FDA Approved facility so there is cross contamination with cosmetic products. If you choose to use this for food, you will need to sterilize it first. "I currently purchase 2oz frosted jars from another company and they hold 3oz of sugar scrub. I like the look of your clear jars better. Do you think they would hold 3oz of sugar scrub?" Staff Answer The weight a jar holds depends on the density of the product putting in the container. Sugar is very heavy for the space it takes up so it is very likely, using this jar, your scrub will weigh 3 oz.